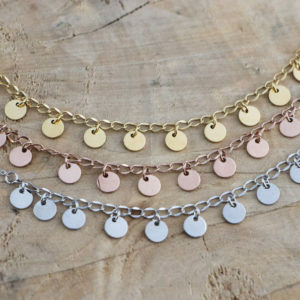 Dainty Delicate Necklace with 13 Tiny Dangling Discs! 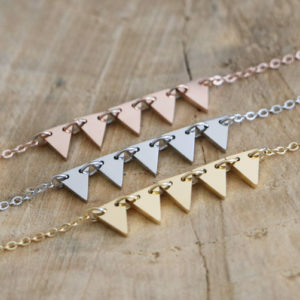 Dainty Delicate Necklace with a Row of 5 Triangles! 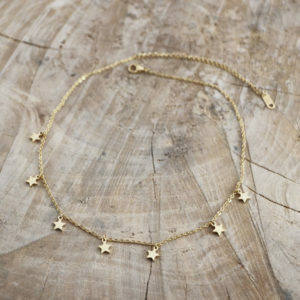 Dainty Stainless Steel Necklace with 7 Tiny Stars! 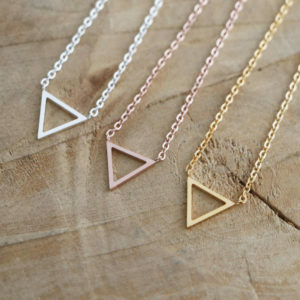 Dainty Delicate Open Triangle Necklace! 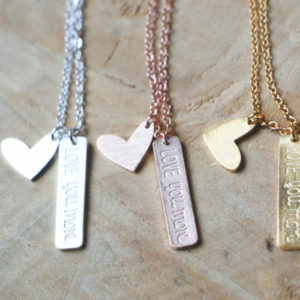 Dainty Delicate Heart and ‘Love You More’ Bar Necklace! 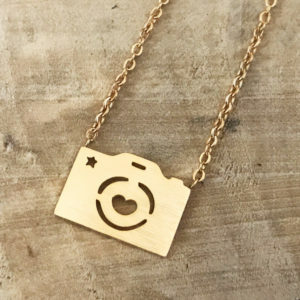 Dainty Camera Necklace! Camera Pendant on a delicate necklace. 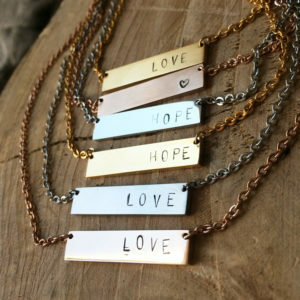 Bar Necklace , which can be customized with a name / word or heart. Or just wear it plain as is! 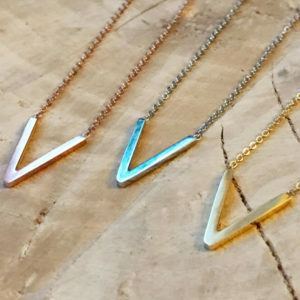 Dainty Delicate Chevron Necklace! Small V Shape Pendant on a Delicate Necklace. 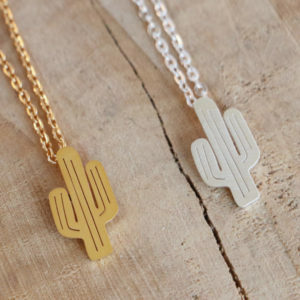 Dainty Delicate Mountain Top Necklace! 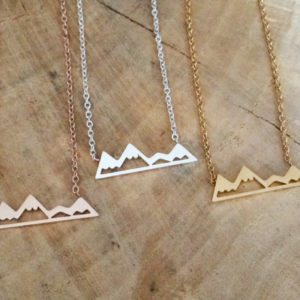 Small snowy mountain top pendant on a delicate necklace. 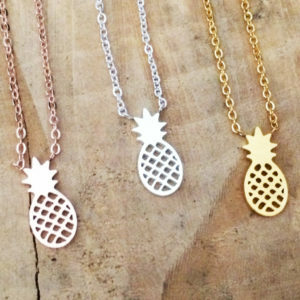 Dainty Delicate Pineapple Necklace! Small Pineapple Pendant on a delicate necklace. 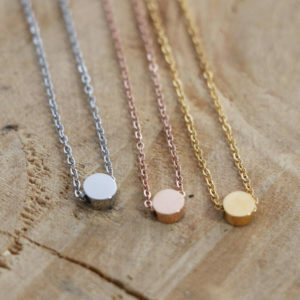 Dainty Delicate Compass Necklace! 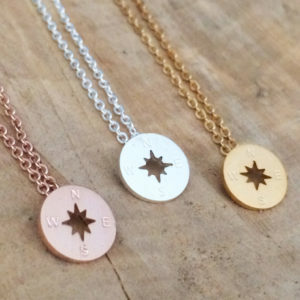 Small Compass Pendant on a delicate necklace. 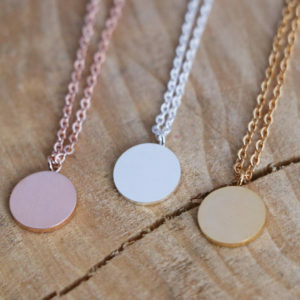 Dainty Delicate Disc Necklace! 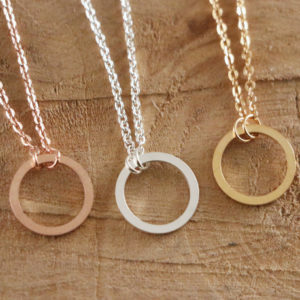 Small disc on a delicate necklace.